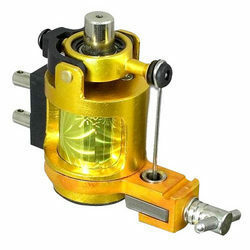 We offer heavy duty rotary tattoo machine in conformation with various quality standards. Sourced from reliable vendors, the machine is manufactured using superior quality components and is tested on stringent safety parameters. It produces very less noise and works with fine accuracy to provide the best desired results. The Spektra Halo is a rotary tattoo machine built with aircraft grade aluminum and CNC technology, meaning the machine is extremely reliable. This tattoo machine is available in a spectrum of colors, including deep blue, bright green, and simple graphite, making it a great choice for an artist who prefers to choose what his or her machine looks like. 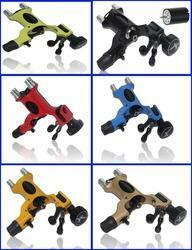 Rotary tattoo machine Imported coil with 6 month warranty. 3 Bearings for 3 Different Settings, Liner, Shader and All Rounder.